Massachusetts is one of the toughest states for gun laws. With misuse, the potential for injury and death is a big factor in why gun crimes are taken so seriously in the courts. If you are facing a weapons offense, you need the assistance of an aggressive defense attorney. Contact me today to discuss the details of your case. Firearms laws are often hotly debated. Although the 2nd Amendment to the U.S. Constitution guarantees us the right to bear arms, states reserve the right to regulate the use and ownership of those weapons. The state of Massachusetts has numerous laws on the books that criminalize many actions involving weapons. Gun charges are very serious and can forever impact your ability to get a job and even prevent you from finding residence. When facing charges this detrimental you need quality representation. There are numerous firearms offenses on the books in Massachusetts. Below I list a few of the most common criminal gun offenses in Mass courts, but call me for questions and details about other charges, or how they might affect you in your situation. Possessing other dangerous weapons illegal in the statute, including brass knuckles, a ballistic or locking knife, throwing stars, nunchucks, or other items. Depending on the circumstances of the offense, this could get you a 2 ½ year prison sentence or more. A public way is a street, sidewalk, or public grounds maintained by the city or state. If you are caught carrying a rifle or shotgun on such property as this, you could face this charge. There are many variations to this law that can affect the potential sentence. If the weapon is loaded you will typically face a sentence of up to 2 years and fines. However, if the weapon is considered a “large capacity weapon”, that potential is increased to a minimum of one year and up to ten years. If the weapon is unloaded you may only be fined. In some instances, when you are charged with a felony, having a gun on you means a completely additional criminal charge. In the majority of these cases, whether the weapon is loaded or not does not matter. If this is your first such charge you will be sentenced to a mandatory minimum of 5 years in prison. If, however, this is your second or subsequent offense of this kind, you will be sentenced to a minimum of 20 years in prison. This sentence is in addition to the felony you are charged with and cannot be reduced. I recently had a client charged with submitting false documents for a firearms application. 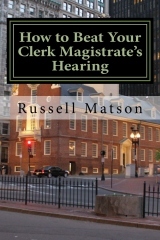 He received a criminal summons to a clerk’s hearing, where I was able to beat the case. Some police chief’s are incredibly picky when it comes to reviewing an approving a license to carry. In this case, the chief didn’t like that the address submitted as his old, longtime home address with his mother, after he had recently moved in with his girlfriend. There are several other firearms crimes that you could be facing. The only way to be sure of what you are up against is by having a consultation with a defense attorney. Whether this is your first brush with the law or if you have a prior criminal incident in your history, I can help. Contact me today to discuss the specific details of your case. We will look at what led to the charges, including the constitutionality of the search and arrest. Together we can work to ensure you get the best possible results on your day in court.